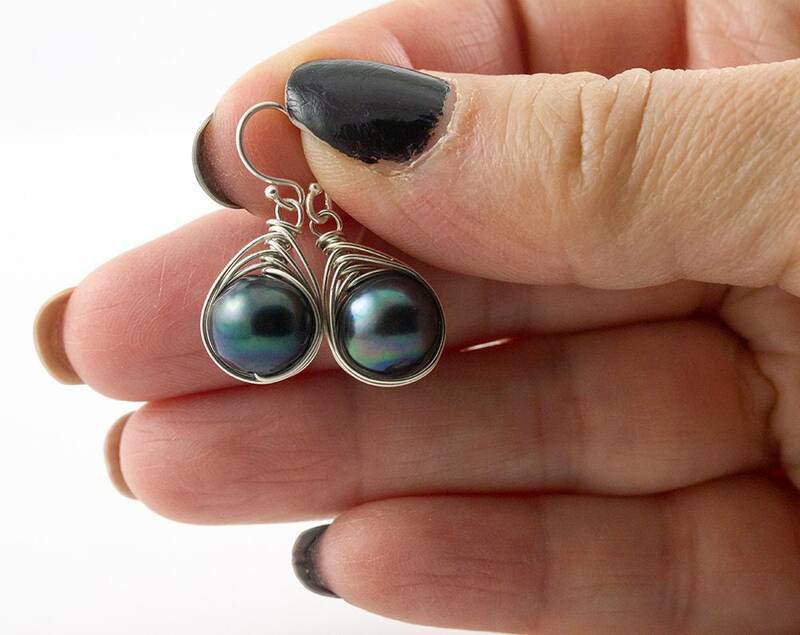 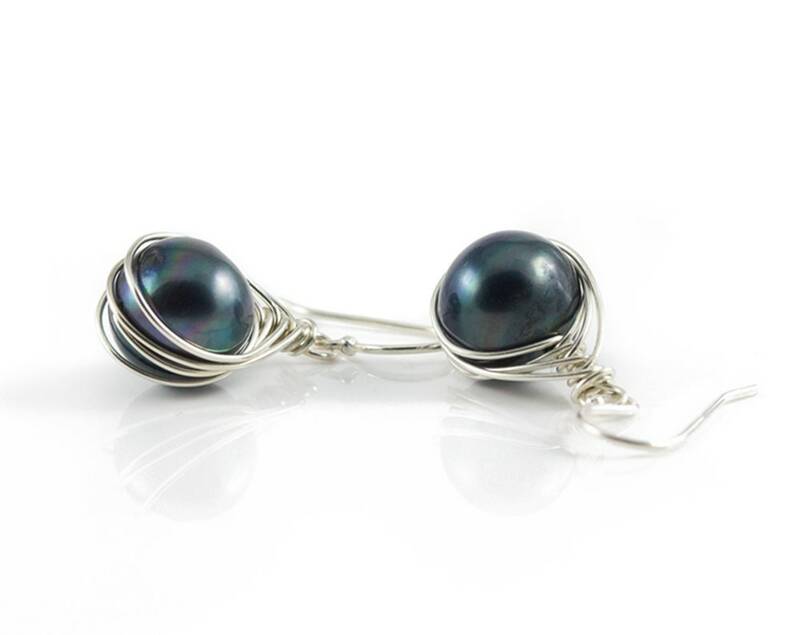 This pair of earrings features black Freshwater pearls wire wrapped with Sterling Silver wire, hanging from Sterling Silver hook ear wires. 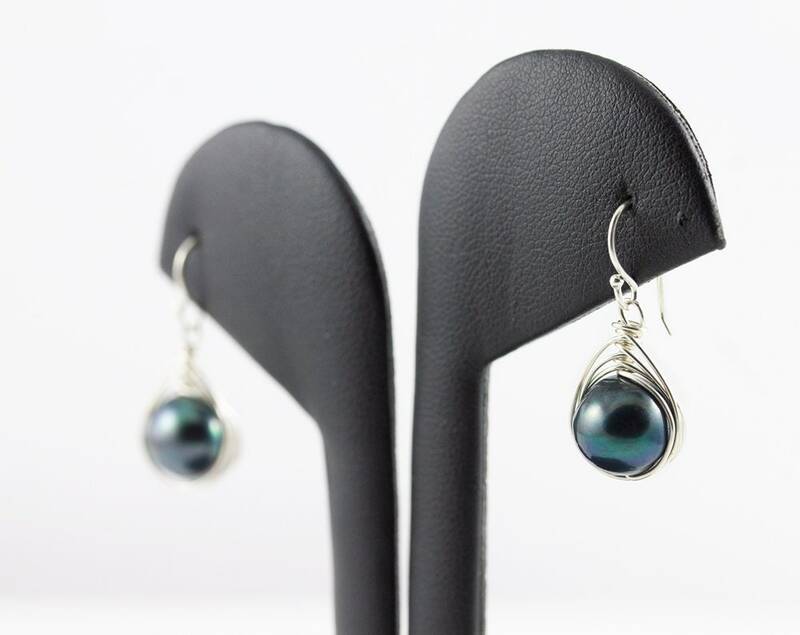 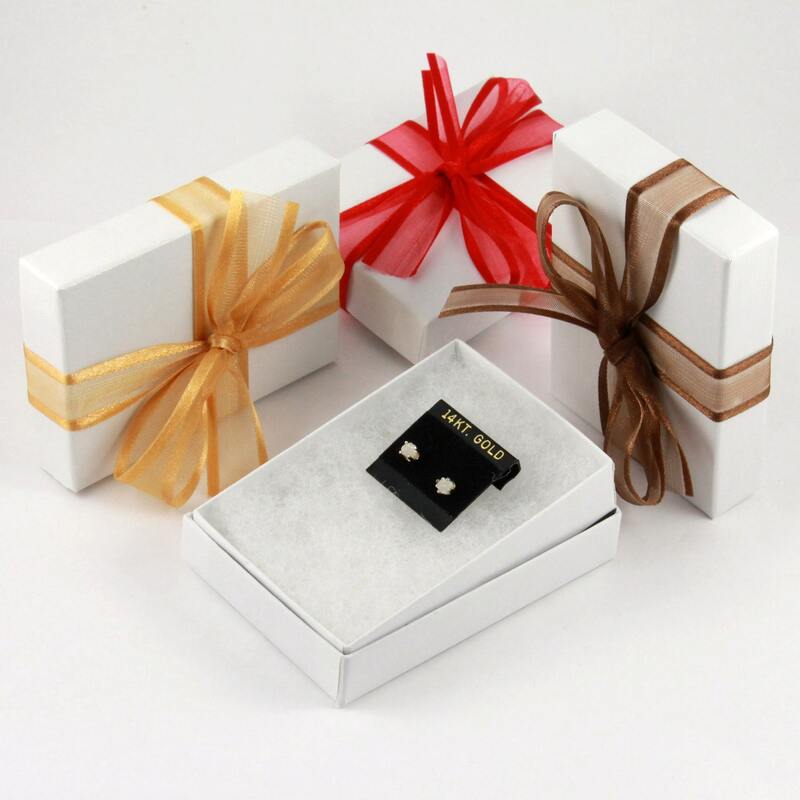 Elegant and a perfect gift for a mother of bride or groom, and for your loved ones. 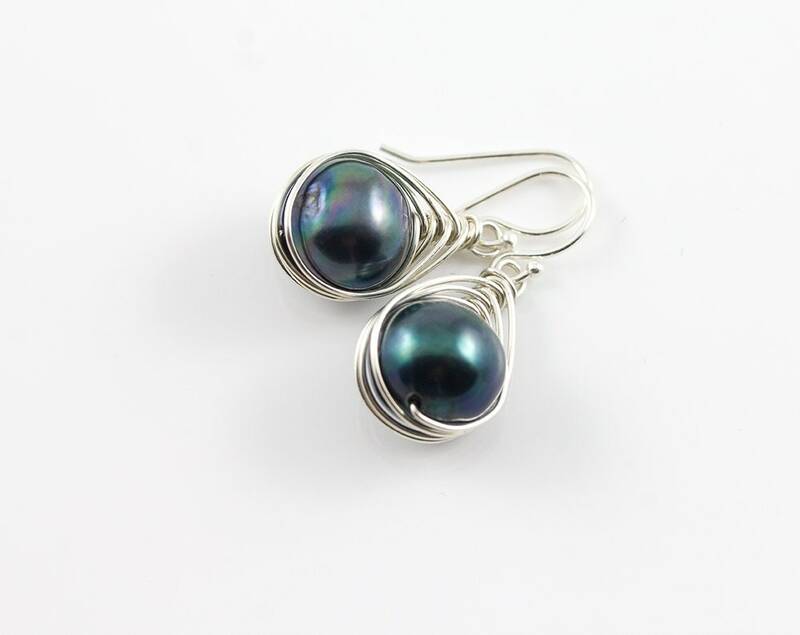 This set of earrings comes in a gift box ready for gift giving!